Spines! 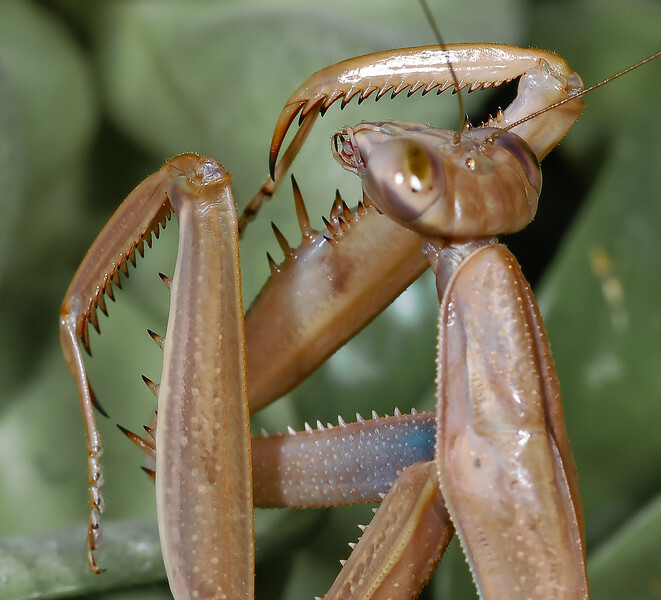 A Chinese mantis showing off the many spines that cover its body. The most impressive are those pin-sharp spikes on the front legs that are used to grasp and hold prey.